As a nonprofit executive, Marsali Hancock has twenty years of experience working with leading national and international policy leaders, top-ranked Fortune 100 companies like Google, AT&T, Verizon, Comcast, Target, Intel, Microsoft, Facebook, and Dell, along with highly respected organizations, maximizing technology to improve the quality of life, education, and economic opportunities. She is recognized for her efforts to create safe and healthy digital learning environments. In 2017 Ms. Hancock was awarded IEEE Communication Quality and Reliability 2017 Chairman’s Award for her “lifelong service protecting children around the world in cyberspace; for defining and implementing her vision ensuring technology is properly used; and for her global leadership to bring technology solutions to a human problem.” She serves as a commissioner for the Global Information Infrastructure Commission, the oldest internet policy organization where she works with nation state leaders to build robust communication networks companioned with proactive online safety and security initiatives. While president and CEO of iKeepSafe, Marsali developed the first Federal Trade Commission (FTC) approved COPPA safe harbor providing state and federal education law certifications. Ms. Hancock is deeply involved nationally and internationally in measuring and defining positive digital cultures, responsible regulatory frameworks, data privacy, data compliance, and effective education initiatives that both empower and protect consumers. She has conducted media events and participated in initiatives with the White House, the Office of the First Lady of the United States, the Executive Office of the President of the United States, Attorneys General, the Federal Trade Commission (FTC), the United Nations Educational, Scientific, and Cultural Organization (UNESCO) to name a few. She has extensive experience developing multi-stakeholder initiatives and serves on consumer advisory boards with industry leaders such as Symantec, Comcast, Verizon, and AT&T. Lan Jenson is the CEO of Adaptable Security Corp (ADA for short), a nonprofit matching cybersecurity and privacy experts to smaller businesses, governments and people’s needs. ADA accomplishes its goals in partnership with governments such as NIST, DHS, City of San Jose, professional and civic organizations such as ISC2, PCI, Global Cyber Alliance (GCA), SVCTBA and SBDC Silicon Valley. 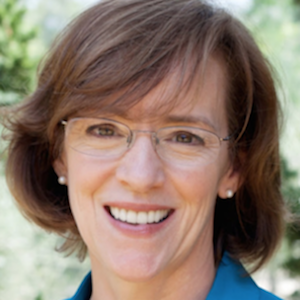 Lan Jenson has extensive policy experience in government, nonprofit and private sectors. Lan currently serves as co-chair of the Cybersecurity and Privacy Advisory Committee for NIST/DHS Smart Secure Cities and Communities Challenge. 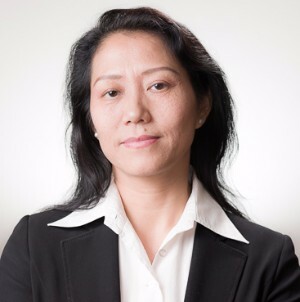 Lan is also a board member with ISC2 Silicon Valley Chapter. As a certified information security professional (CISSP) since 2009, Ms. Jenson has led many risk management, policy and compliance initiatives in cybersecurity. Her analysis enabled the Secret Service to arrest hackers. Lan Jenson advanced to leadership roles at Fortune 500 companies including FM Global, Charles Schwab and Cisco Systems. Throughout her career, Lan Jenson has been a faithful champion of the cause best summarized by Thomas Jefferson, “I know of no safe depository of the ultimate power of the society but the people themselves; and if we think them not enlightened enough to exercise that control with a wholesome discretion, the remedy is not take it from them, but to inform their discretion.” As Founder and CEO of The Flatter World Scholarship, Ms. Jenson pioneered a model that has helped thousands of high school students pursue education instead of dropping out of school. Lan Jenson received her Master’s in Management of Information Systems from Boston University. 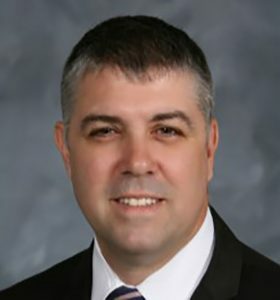 Tim O’Brien is an 18-year information security professional, considered a subject matter expert in Computer Network Defense (CND)/blue team efforts, risk and incident management, intrusion and data analysis, threat intelligence, and secure architecture design. Mr. O’Brien is well versed in developing technical solutions, determining the best options for the business and its goals, and creating comprehensive implementation plans that manages and also minimizes risk for the organization. His excellent analytical and problem solving skills, with emphasis on understanding relationships among technical problems, result in sound and effective business solutions while reducing risk. Mr. O’Brien enjoys mentoring others and helping them develop their skills through supervisory positions, coursework development, mentoring, presenting at and helping run information security conferences, as well as instructional positions. 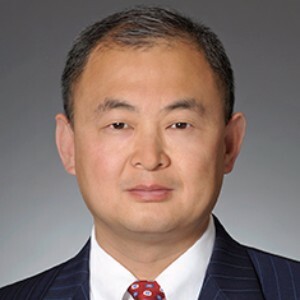 Feng Xue applies his 20 years of experience representing Chinese and US investors and companies to cross-border transactions involving a variety of private equity, mergers and acquisitions, securities regulations and general corporate matters. Feng negotiates and documents the establishment of joint ventures, wholly foreign owned enterprises (WFOEs) and distribution/franchise relationships. Increasingly, his practice consists of representing Chinese companies in their acquisition and expansion efforts overseas. He sits on the boards of directors of several Chinese companies and serves as general counsel to dozens of private equity funds and technology companies doing business in China. Feng represents clients from a variety of industries, including manufacturing, venture capital, education, biotech, pharmaceuticals, hospitality and technology. He often represents US companies and investors looking to expand to China, and Chinese companies and venture capital firms looking to invest in US companies and sell to US investors. A seasoned practitioner of corporate law in the United States, Feng focuses his corporate practice on complex merger and acquisition transactions, securities offerings, middle market buyout fund acquisitions and venture capital investments. Feng has been quoted in Chinese and US media on issues related to doing business in China and cross-border M&A matters, including The Wall Street Journal’s TheStreet.com, The M&A Journal and China Business News. He is a frequent speaker on the legal issues affecting foreign investment in China.Feng is the co-author of Laws of the People’s Republic of China, Volumes III, IV, and V, published by China Science Press, and Western Corporate Laws, published by China Law Press. Prior to attending law school, Feng worked as a senior legislative officer for the Legislative Affairs Commission and Law Committee of the Chinese National People’s Congress, where he participated in the drafting of Chinese national legislation. Michael Kaiser is a seasoned nonprofit executive who has led and helped several high-profile organizations grow and flourish. As the Executive Director of National Cyber Security Alliance, Michael led the development of expansive public private partnerships creating and growing innovative programs such as the National Cybersecurity Awareness Month, Data Privacy Day, STOP. THINK. CONNECT. Campaign and CyberSecure My Business. 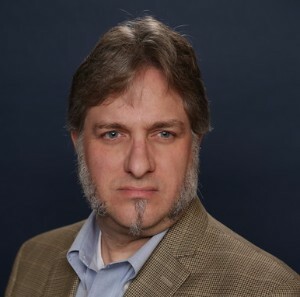 As ADA’s Board of Directors member, Michael brings to ADA deep experience in cybersecurity education awareness, including how to reach one of the largest and most at-risk sectors of our society, small and medium-sized businesses and governments. He is also providing guidance on traditional and social media and general nonprofit organization operations. Prior to NCSA, Michael worked on behalf of victims of crime at the National Center for Victims of Crime in Washington, DC and Safe Horizon in New York City. He has served on numerous nonprofit boards including the College of the Atlantic in Bar Harbor, Maine, New Destiny Housing Corporation in New York City, and the ESET Foundation in San Diego, California. Mr. Margolis is the CISO for the Metropolitan Water District of Southern California (MWD). As such, he is responsible to oversee the Water District’s cybersecurity program; which entails protecting enterprise systems and critical infrastructure. Prior to joining the MWD, he was the CISO for the County of Orange, CA where he oversaw the development and implementation of multiple countywide cybersecurity initiatives. These included establishment of a County Cybersecurity Framework; interactive online Cybersecurity Awareness Training; a robust and tested Cyber Incident Response Process and Plan; adoption of next-generation AI technologies, and the execution of a robust governance Risk & Compliance (GRC) platform. Prior to joining the County, Mr. Margolis was the Information Assurance Manager for the California National Guard and California Military Department, where he oversaw the development and management of the California National Guard’s Cybersecurity program. During his service with the California National Guard, his assignments included Emergency Communications Plans Officer, Signal (Communications) Unit Commanding Officer, Chief Communications Officer for an Infantry Brigade and Network Operations Manager for the California National Guard Network Operations and Security Center. Mr. Margolis Certified Information Systems Security Professional (CISSP), earned a BS degree in Computer Applications and Networks and holds a Master’s Degree in Information Systems and Technology Management. Mr. Margolis has been a Commissioned Officer in the United States Army Reserve. He was deployed to New Orleans, LA, as part of the humanitarian relief efforts in the wake of Hurricane Katrina in 2005 and served two tours in Afghanistan. Co-founder of People Centered Internet (PCI), Mei Lin Fung co-designed the first CRM system at Oracle. She served as Socio Technical lead for the US Dept. of Defense’s initiative on the Future of Health and is a member of the Digital Economy and Society World Future Council of the World Economic Forum. She serves as vice chair of the Internet Inclusion IEEE sub-committee, one of 3 tracks under the IEEE Internet Initiative. John is co-founder of People First, which envisions a future fulfilling and worthy of all Human Beings. We ask of any initiative if it puts People First? If it does not, why not? People First works on behalf of all People. It is core to our thinking, why we are speaking up and why we work to bring trust for all people. John has also founded gleXnet and Beyond Bridges. Neal has been quoted by media such as NBC News, Reuters, and CNN. Accomplished and certified IT Security professional with a proven track record of successfully completing complex enterprise-wide technical security projects, developing and improving technical and security processes, reducing corporate costs, effectively managing project time lines and resources, managing and mentoring solutions-oriented, global security engineering teams. Knowledgeable about GLBA, HIPAA, ISO 27001/2, NIST, PCI DSS, PII, SOX, and SSAE 16. Dr. Kelley Misata, is a strategic leader and speaker who combines over 15 years in business leadership roles with a passion for facilitating critical conversations around responsible digital citizenship, digital safety, privacy, and freedom of speech online. Today, she is expanding her groundbreaking dissertation research in the information of non-profits workings with victims of violence into a new nonprofit venture, Sightline Security. Her current role as the Executive Director of The Open Information Security Foundation and past role as Communications Director at The Tor Project allows Kelley to spotlight her expertise in fundraising, advocacy, policy discussions, marketing, training, and outreach activities with an array of stakeholders. 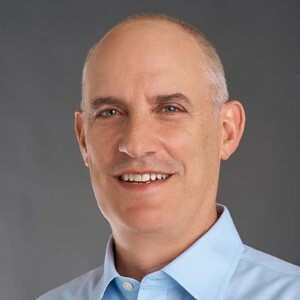 A seasoned technologist, cybersecurity enthusiast, and consumer advocate in Silicon Valley, Dave keeps a sharp lookout of the cybersecurity landscape as well as ensuring the security of all software and environment he touches.